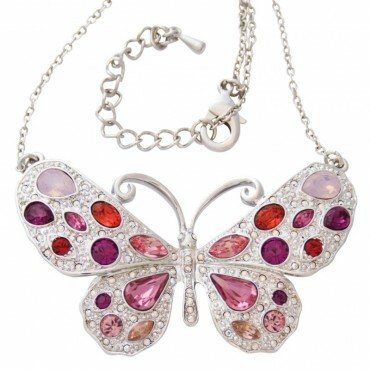 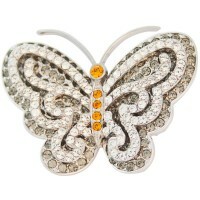 This truly beautiful butterfly necklace will look delightful with any women’s outfit. Finely crafted in England from rhodium plated metal alloy, this colourful women’s butterfly pendant is set with clear, pink and red Austrian crystals, complete on a delicate rhodium plated chain. 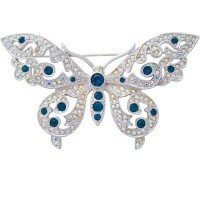 The crystals add a touch of feminine sparkle that will be a welcome addition to any woman’s jewellery collection.